The free digital bar signage display template in soothing color combination will melt oneâs heart. The shots along the food available are displayed clearly with icons so that it helps customers in choosing the correct one. 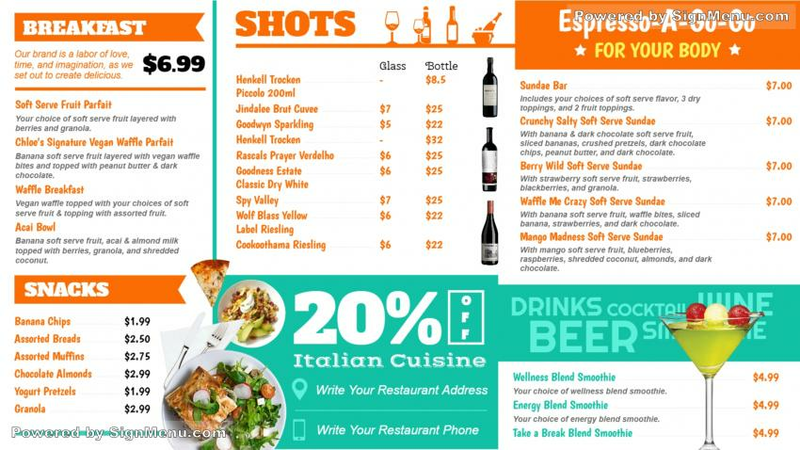 Separate colors and fonts have been used or the beer and Italian cuisine portion to highlight the section. More such signage boards can be downloaded and edited.